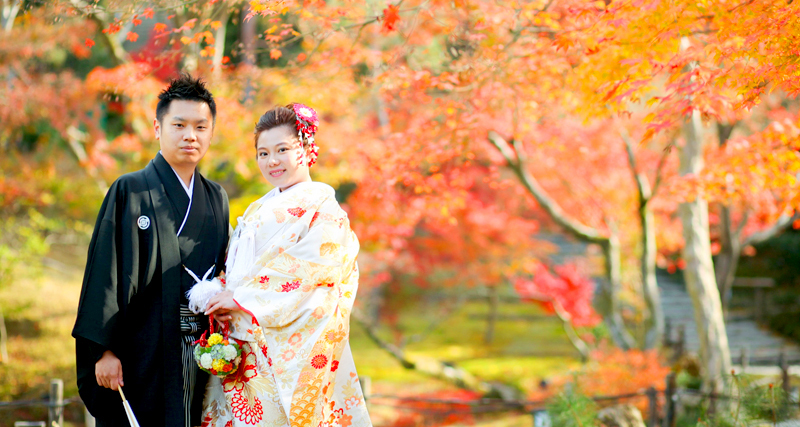 Eddy and Sony come from Hong Kong and held their wedding ceremony at Kodaiji Buddhist Temple. This was our first time holding a ceremony at Kodaiji Temple for a couple who was not Japanese. The Monks, staff, and of course Eddy and Sony were nervous on the day, but thanks to everyone, the weather was good and the flow of ceremony was perfect, too. We would like to thank Eddy and Sony`s family and friends who came to Kyoto for the wedding ceremony. We had a really enjoyable time shooting photos. Congratulations on your wedding. Wishing you a lovely new life filled with laughter.